Is your pup an adventure seeker? 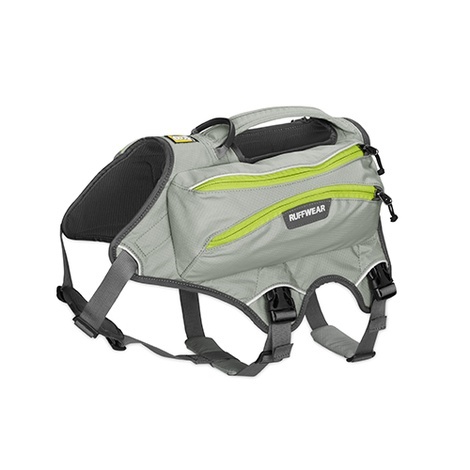 Then this hydration pack from Ruffwear is ideal when embarking on dry and dusty walks. 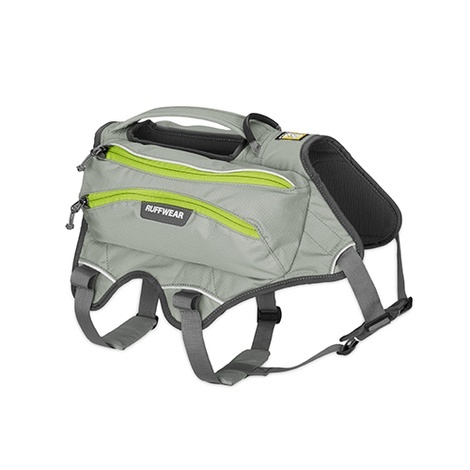 The sleek and body-hugging design of this pack will prevent any unwanted shifting, snagging and flopping to ensure your pooch has an enjoyable and hydrating stroll. Singletrak Pack – Cloudburst Grey. Available in three sizes – Small: 56-69cm, Medium: 69-81cm and Large: 81-107cm. Includes two removable Platypus 0.5L water bladders. Features two external stash pockets for other adventure essentials. Your dog should carry no more that 25-30% of their body weight in the dog pack. If new wearers, start with a lighter load.